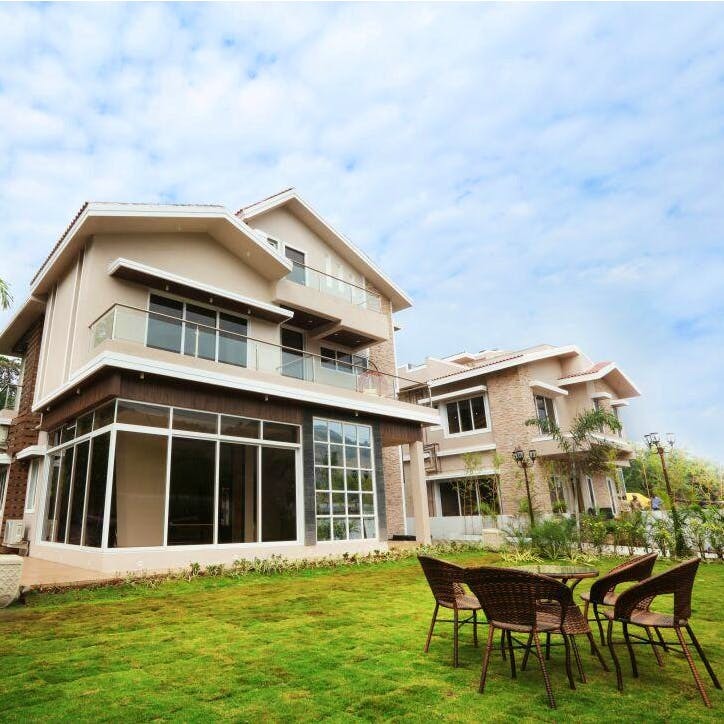 Surrounded by green valleys and majestic hills, we found a gorgeous homestay that goes by the name of Montana Vue Villas, just about six kilometres from Bhushi Dam in Lonavala. Montana Vue Villas is the perfect staycation for families, especially during the pre-winter season when the weather is pleasant and the prices are low. Located at Kune Nama Village, this villa has four spacious bedrooms with en-suite bathrooms. Every room comes with a gorgeous view of the valley and the mountains. Besides, all basic amenities, from TV to geyser and toiletries are taken care of. We hear Montana Vue also has indoor and outdoor swimming pools. While the outdoor one is only available for particular seasons, the indoor pool is available all year round. Apart from this, the villa also has a spectacular hot bath tub where you relax for hours and enjoy a bubble bath. The private balconies in the villa are one of our favourite spots. Each balcony has a stunning view of the moss-green hills and clear blue skies, something we don't get to see in a city. So sit back in a coccon swing, sip on wine and soak in the views till they last. The management definitely needs to improve its hospitality. We have heard some negative reviews about stain marks on pillows and bedsheets and unavailability of extra mattress. The best time to book your stay at Montana Vue will be between October and December.